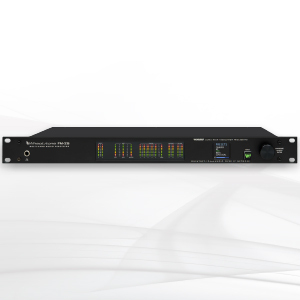 FM-25 is a multi-band audio processor ideal for LPFM or other FM stations requiring basic spectral audio shaping and peak limiting control. The new FM-25 includes new intelligent two-band AGC technology — or iAGC — coupled to a multiband limiter and stereo generator. The combination provides automatic, real-time program density control for a consistent, spectrally-balanced sound regardless of density variations in incoming source material. 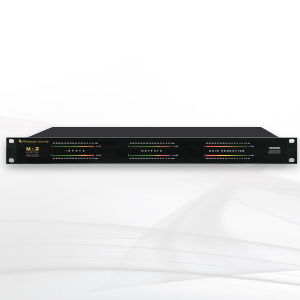 Other features of the FM-25 include stereo enhancement and program adaptive L-R control for multipath mitigation. 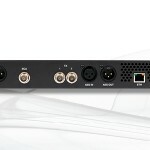 The composite output signal is available as traditional analog via twin rear panel BNC connectors and simultaneously as Wheatstone’s baseband192 digital multiplex technology. 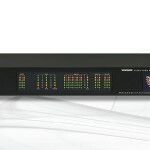 The FM-25 fully supports the WheatNet-IP Intelligent Network, and is equipped with two analog composite outputs, an SCA input, balanced analog Left/Right outputs and an AES digital output which may be switched to deliver either discrete Left/Right or baseband192 digital multiplex signal. Input audio with automatic source failover may be delivered via analog, AES and WheatNet-IP.Similar to the FM-55 audio processor, the FM-25 is smartly designed with a front panel OLED display, Guru GUI navigation and headphone jack on the front panel — as well as the incredible sound and build quality that the industry has come to expect of a Wheatstone audio processor.The FM-25 represents a true value for the LPFM broadcaster, and can be packaged with an Audioarts Air-1, Air-4 or new 08 mixer for on-air, production and processing at an affordable price. The FM-25 is based on our adaptive multiband iAGC — or intelligent AGC — which allow unobtrusive transitions between hyper-compressed recordings and those with more dynamic range. iAGC effectively manages the behavior of the multiband AGC as program content density changes, something a typical broadband AGC simply cannot do. By coupling the iAGC and limiter, we are able to produce a consistent, spectrally-balanced sound regardless of density variations in incoming source material. Operating in the sum and difference domain within the multiband AGC and under the management of specialized automatic level and spectral management algorithms, the FM-25’s Smart Stereo Enhancement provides a wide but extremely stable ‘on-air’ stereo image. “Wide”, “alive”, “exciting to listen to”, and “very natural sounding” are terms customers have used to describe how our stereo enhancement method sounds. Users have reported hearing artistically important nuances in music that were simply inaudible when the same material was processed by competing products. 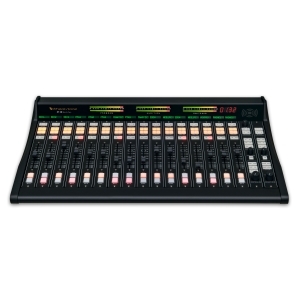 The FM-25’s Bass Management System circumvents bass-related distortion plaguing other broadcast audio processors. The result is increased depth, feel, and clarity of bass impact without affecting mid and high frequency program — in fact bass detail and the clarity of higher frequency audio are actually enhanced by the new algorithm. 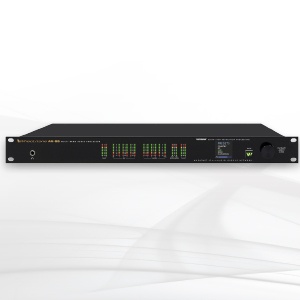 Wheatstone® baseband192 digitizes the entire multiplex spectrum including RDS and SCAs up to 67kHz, providing a higher performance interface than using the classic analog composite method between processing and transmitter. A single AES/EBU cable between the processor and a current solid-state FM transmitter carries the digital baseband signal, bypassing the need for multiplexing in the exciter and eliminating the resulting signal overshoot with its associated loudness tradeoff. 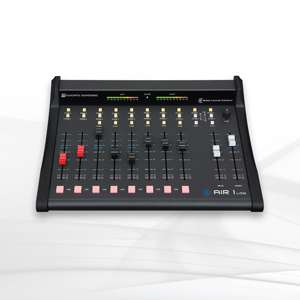 WheatNet-IP I/O compatibility makes it possible to control the FM-25 and stream its audio to and from anywhere in the IP audio network, making it 100% compatible with WheatNet-IP surfaces and controllers!